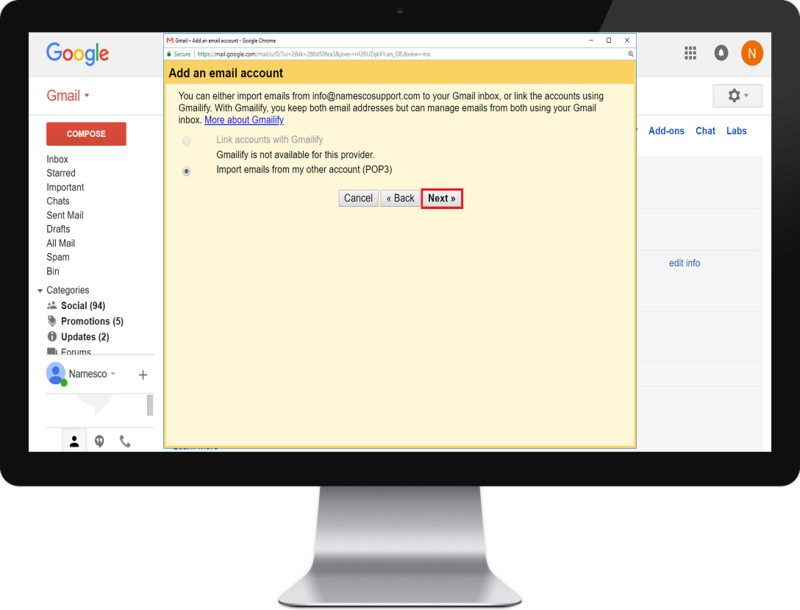 This article will demonstrate how to setup a new POP3 account in Gmail. 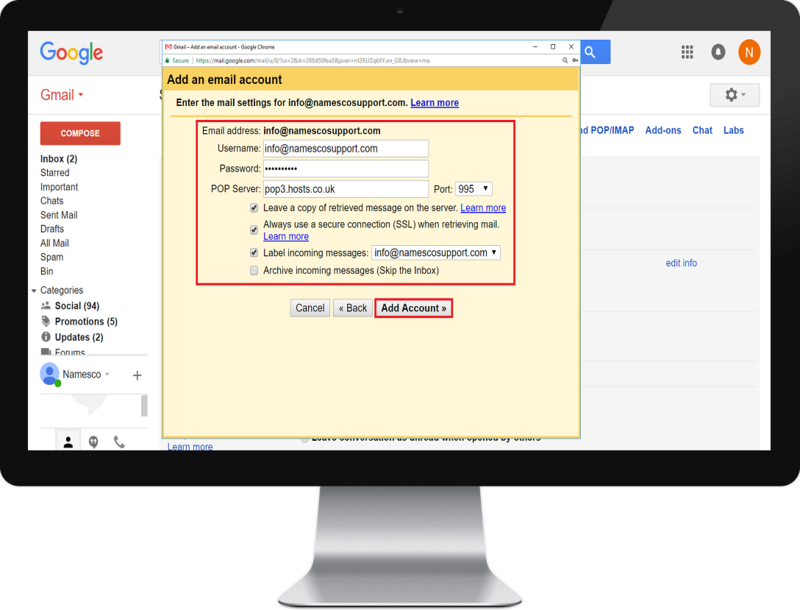 Before proceeding with the setup of your email account we recommend that you login to Webmail first using your email address and email password. This is to ensure that you are using the correct login credentials. 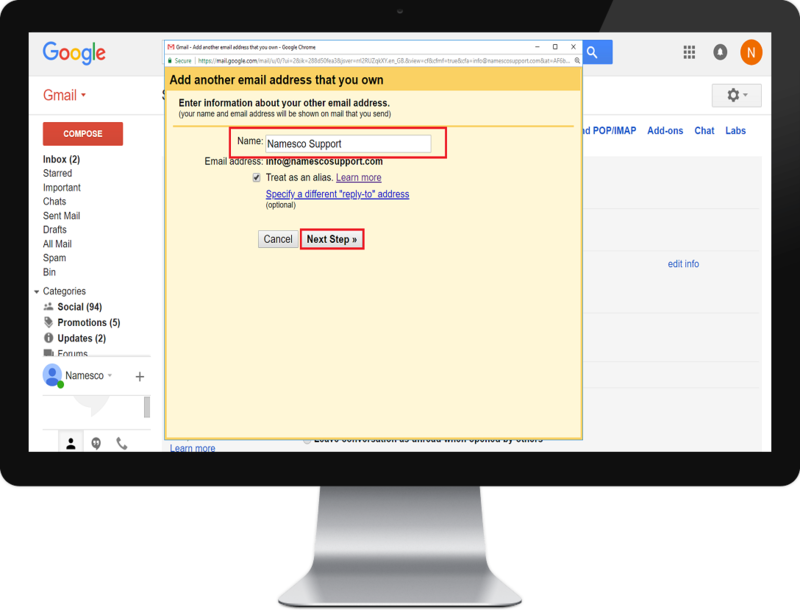 You will also need to ensure that you have purchased our Authenticated SMTP package - without it you will be unable to complete the setup. To upgrade to this service please either use the Upgrade Options within your Control Panel, or call our team on 0345 363 3634. 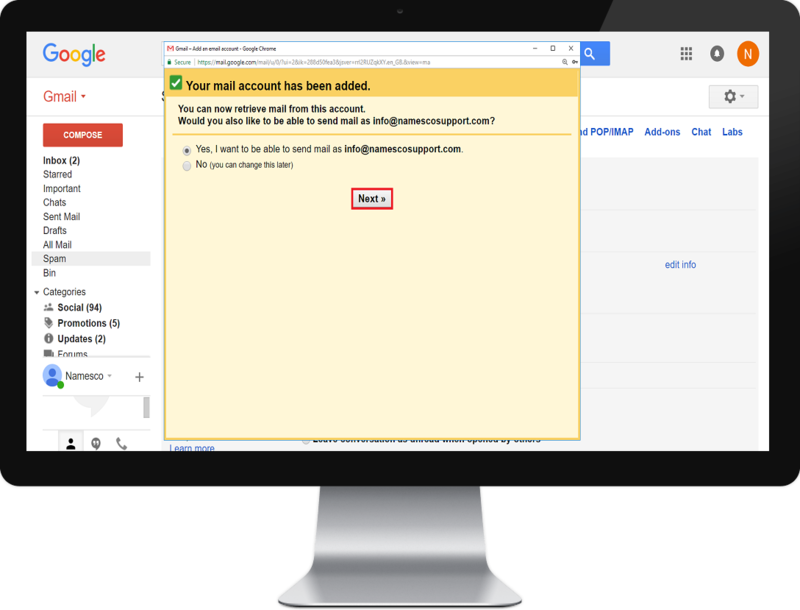 Now that you know your email password and have activated Authenticated SMTP, let's proceed with the setup in Gmail. Firstly, click the cog on the right hand side, and choose Settings. Under the Accounts and Import tab, select Add an email account. With Import emails from my other account (POP3) selected, click Next. 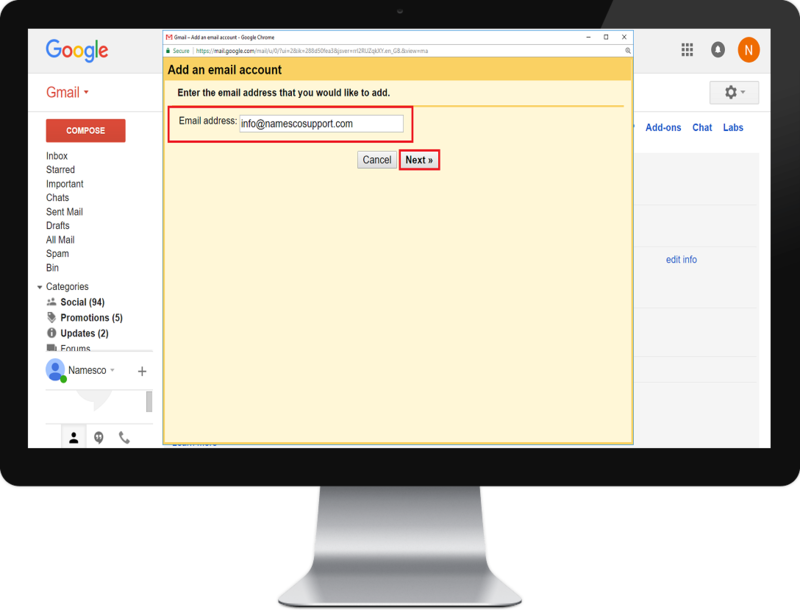 Enter your Email address and Email password as the Username and Password, respectively. Enter pop3.hosts.co.uk as the POP Server and use the recommended settings provided below. On the next page click on Next to setup your outgoing mail. Enter the Name that you want to appear in your emails. Click on Next Step. Complete the SMTP Server settings and use your Email address and Email password as the Username and Password, respectively. 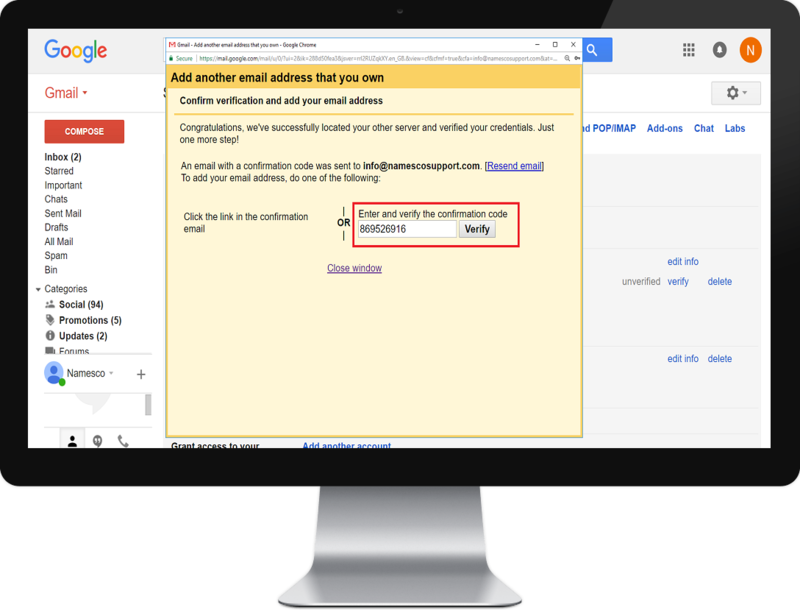 You will then be sent an email to your email address with a Verification Code. Enter your unique code in the box shown below, and click Verify. Your email account is now setup.